The CSMA Trombone Choir was born as a project conceived within the trombone class of the Aragon Conservatory of Music (CSMA, Zaragoza) under the direction of Daniel Perpiñán. During 2014 the group performed at the Eduardo del Pueyo Music Hall (Zaragoza), at the Bilbao Conservatory and at the Aragon Library (Zaragoza). 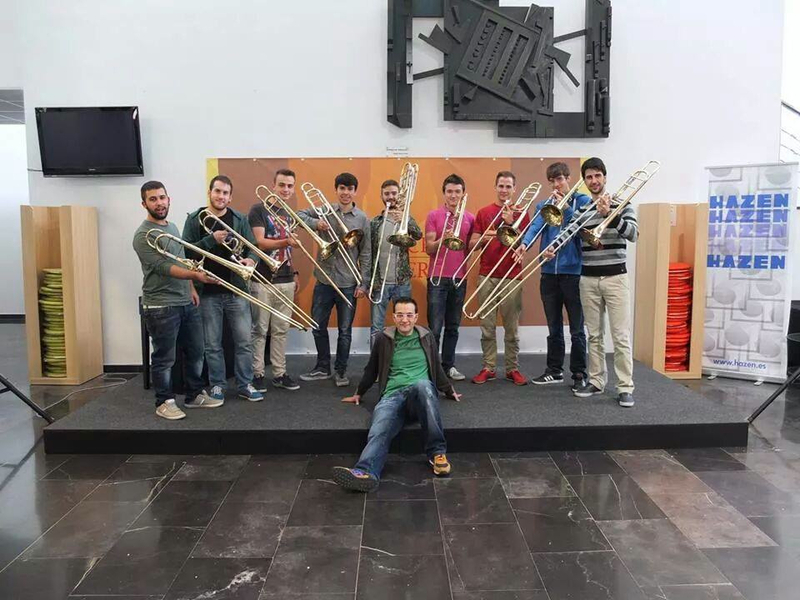 Current members of the ensemble are: Antoni Duran, Juanjo Murria, Miguel Casado, Alejandro Cantos, Victor Aguerri, Joan Puigcerver, Martí Pàmies, Alejandro Forriols and Oscar Crespo. Future engagements in 2015 will be at Tarazona Conservatory and at the Aragon Brass Meeting in May in Zaragoza.